Prince Charles arrived in St. Petersburg today. His visit is devoted to the city's 300th anniversary. It is expected that Prince Charles will fire the traditional canon shot at Peter and Paul Fortress today at noon, visit the burial vault of the Russian Tsars which were the distant relatives of the Windsors, and present the Russian fleet with the Adventure, a training yacht. The vessel is intended to symbolise the history of cooperation between the British and Russian navies. The Prince's visit to St. Petersburg will last till July 16, then he will travel to Arkhangelsk and the Solovetskiye Islands. He will return to Britain later the same day. The prince's itinerary also includes visits to Peterhof, the Menshikov Palace and the Hermitage's To the founder of St. Petersburg exhibition, which includes a portrait of Peter the Great painted in 1898 by Sir Godfrey Heller. The painting has been lent to the Hermitage by Queen Elizabeth II. The prince is also expected to visit the Alexander centre and the Early Intervention Centre, which help victims of domestic violence and the parents of so-called 'alternatively gifted' children. 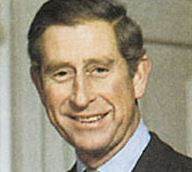 Prince Charles has already visited St. Petersburg once, in May 1994. City news archive for 14 July' 2003.